This evening, local artist Ben Fraits delivered the Art Lotto trophies to me! 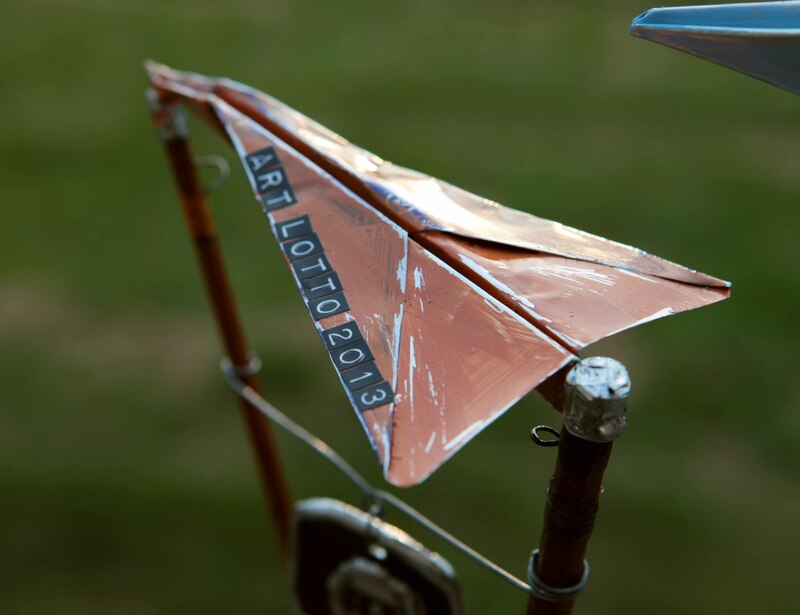 They work great alongside our other lotto designs with their bright colors and use of paper planes. In this case, they’re aluminum planes made from discarded beverage cans. In fact, all the supplies used in making the trophies is recycled material found right here in Harrisonburg! Here’s a sneak at one of the three awards that will be handed out on Thursday evening at our Private Party. Be sure to join us for the First Friday Public Opening this Friday from 5-7 at The Artful Dodger! There will be lots of kid-friendly activities happening out front including face painting, sidewalk art, a mini-manicure station and a coloring table! Woo art! John Bell has a pin in my timeline. 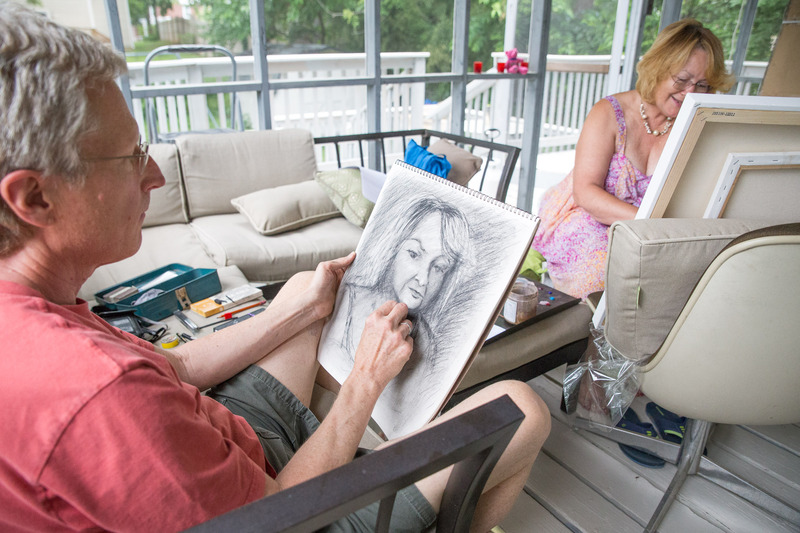 He was my first (ever) art teacher. 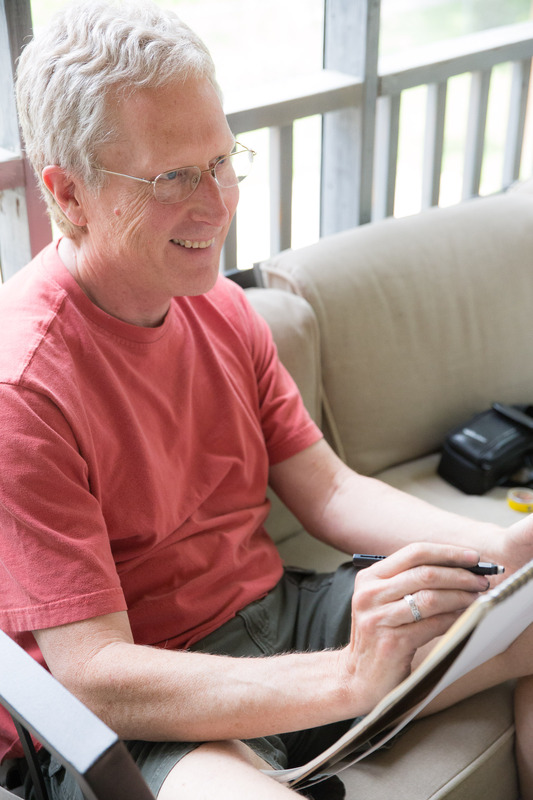 After skimming through high school without taking a single art class, I showed up to his Blue Ridge Community College Intro to Drawing course with a 6B in my shaky hand. That class paired with his Art History course was a potent mixture that would seep into my soul for years to come. I really can’t accurately measure the impact he’s had on my skill, style, and love for art. He is the kind of teacher that had me seeing this world around me. I started looking up at building structure, noticing placement in paintings like The Swing and proportion in pieces like the Pietá, placing importance on seemingly mundane details in artwork like eyesight, value changes, and directional lines. He had me wondering things like “Why is she giving him a carnation?” and “What’s so controversial about Caravaggio anyway?” I began to question and therefore understand history through art. He did this for me and it’s truly an honor to have him participating in this art show that Denise and I have created. This year John is portraying Nashville artist Renee Somers and Jess Herr will be portraying John.